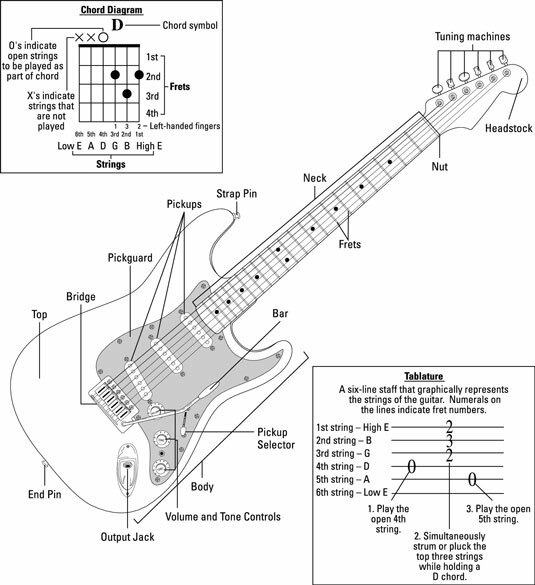 To play blues guitar, first you have to know the basics of guitar in general, which means identifying the parts of a guitar and being able to translate a chord diagram. 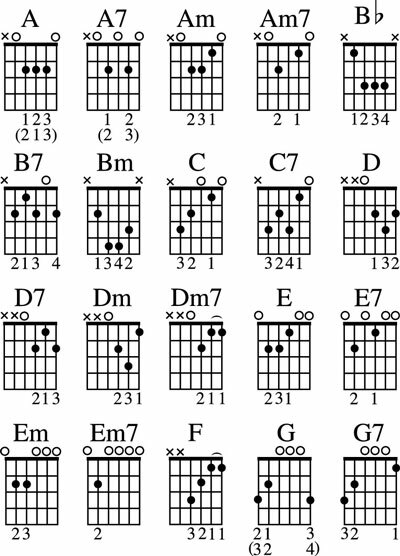 Then you can get familiar with common open and moveable chord forms and create your own blues guitar style. Moveable chords with the root on the 6th string. Moveable chords with the root on the 5th string. Some more complex moveable 5th-string-root chords.